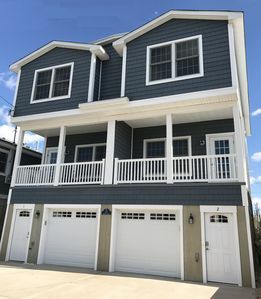 Recently renovated beach home located just 7 houses from the beach. The beach is guarded, clean and uncrowded. The house is pristine with post Sandy renovations. It is comfortably furnished. 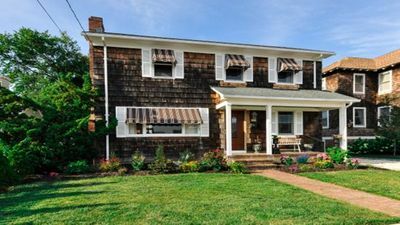 The first floor has one bedroom with twin beds, a full bathroom,an eat-in kitchen with new appliances. 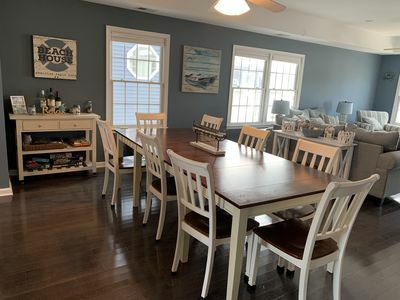 Also on the first floor there is the living room, dining room, laundry room off the kitchen, large sunroom/Florida room, which overlooks the back deck and garden. 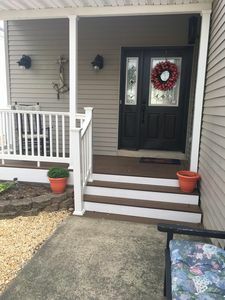 The deck is accessed through the sunroom or from the side door. 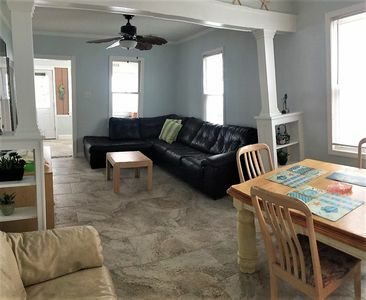 The house has central AC and ceiling fans in every room. 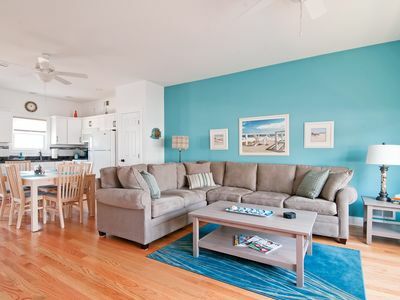 Cable TV (basic) and wireless internet are included. The house is very private with a stockade fence across the back and one side. There is also a large outdoor shower at the back of the house. Guests are encouraged to shower there when coming off the beach rather than showering in the house. 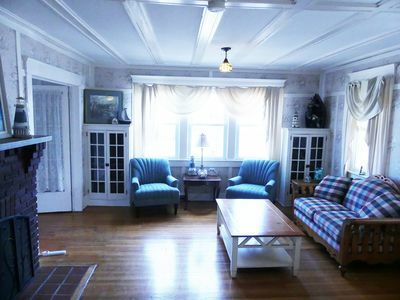 The second floor has two bedrooms and another full bath. One bedroom has a queen size bed, the other has twin beds. The driveway allows for private parking for several cars. 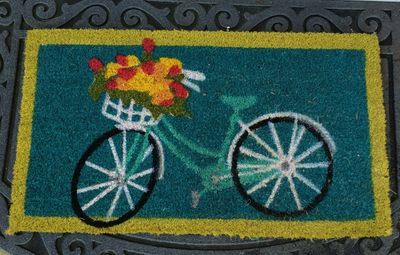 There is also street parking in front of the house. No smoking in the house. 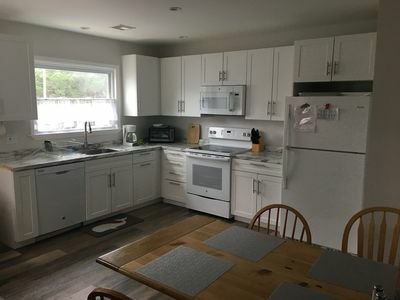 The house is located in a quiet residential neighborhood. 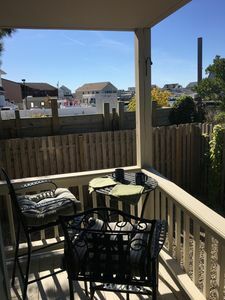 It is within walking distance to the center of town, bakery, shops, Bay Head Centennial Park and the town's tennis courts. 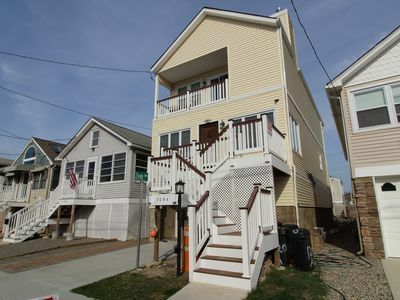 It is approximately one mile from the NJ Transit train (Bay Head Station) with service to NYC and Newark Airport. 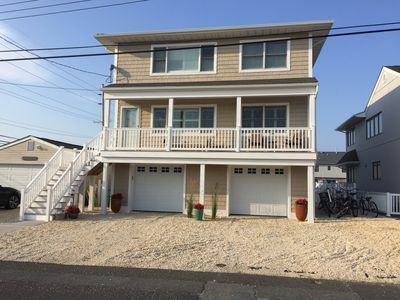 This home has wireless internet, cable, linens, if requested, beach umbrellas, towels, chairs, a wagon to transport gear to the beach and all the other amenities of home. If guest needs something they can not find in the house, they are requested to contact the owner via txt and every effort will be made to accommodate guest's request. If you have more questions, please contact owner's office at 732-245-5518. 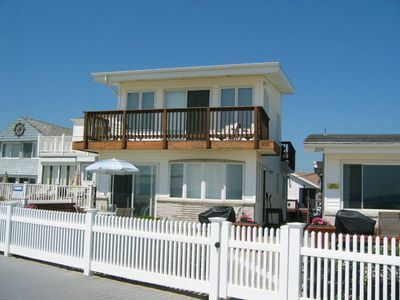 Weekly rate is $4,025.00 (Off-season rates available). 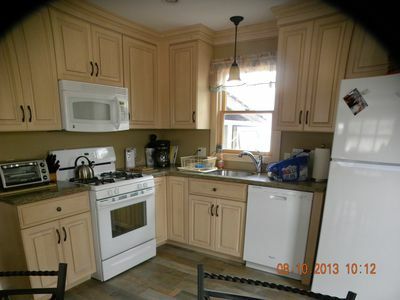 non-refundable $99 PDP (Property Damage Protection), plus VRBO Service Fee (capped at $399). Preferred method of payment is by e-check thru VRBO. 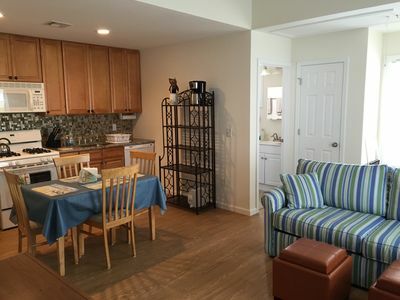 If Tenant pays with credit card, the 2.9% surcharge charged by VRBO will be paid by Tenant. House Rules: No Pets, unless they weigh fewer than 25 lbs. No smoking in house. 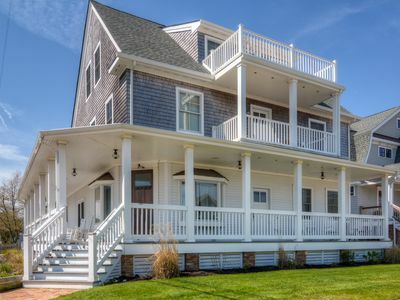 Beachgoers are asked to use garden hose to rinse sand off feet before entering house. Please do not put any clothing with sand in owner's washer/dryer. 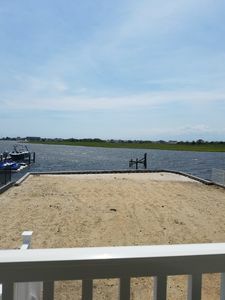 Wet beach towels should be hung on clothesline, which is to the left of the garage. 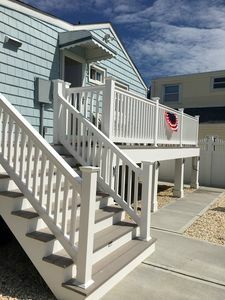 If additional beach towels are needed, contact owner via txt (732-245-5518) leave towels on steps outside back laundry room door and someone will collect them and leave new towels. Garbage and recyclables are to be separated. All garbage is to be bagged in white "Tall Kitchen" bags (nothing loose i.e. diapers, pizza boxes) and placed in receptacle in back yard. Garbage is collected by the town early Monday and Thursday mornings. If you miss the garbage pick up, please contact owner and someone will pick it up. Prior to your arrival, you will be sent a welcome letter that has more details about the house i.e. internet password, recycle information, etc. 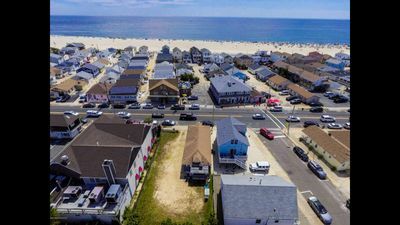 RELAX - REFRESH - RENEW - where else but LAVALLETTE, NEW JERSEY! MAGNIFICENT Sunrise Views of the Ocean, as well as Ocean Views. 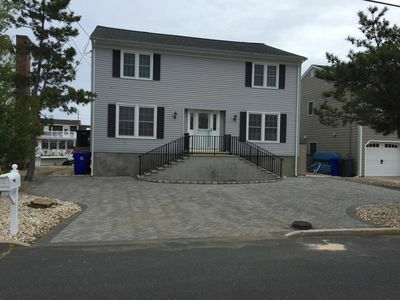 2 Blocks to the Boardwalk w/in ground Pool, BRAND NEW GAZEBO & Patio furniture! !